To celebrate the end of the school semester, I did absolutely nothing this weekend. Well okay, I exaggerate. I really just watched Pixar movies and laughed at the jokes and references that I didn't get as a kid. And when I did have to go out, I went with clothes that would feel like pajamas. A dress is like a long pajama top and a sweater is just a short robe. And just to make this extra fancy, using a belt to define proportions really does the trick. As does jewellery. But we knew that already, right. Awesome top, fancy the socks too! The epaulettes on the Vero Moda sweater are really cool. Overall, it reminds me of a private school uniform, which is probably appropriate since it's the end of the semester. Ah, glad you were able to celebrate by doing nothing. That sounds like the best right now. As for comfy clothes, man I'm all about them! I love the touch of dainty mint to this edgy look. Super stylish! Love this amazing look. The detailing on the shoulders is so fabulous. Great style! you're officially on my favorite blog now. wow as in wow I love your style <3 anyway I always get error whenever I try to follow you on gfc, following you on bloglovin though. I have never owned such fashionable jammies. haha. Love it! Gorgeous! I love that sweater, the fringe on the shoulders is so unexpected and lovely. OOH! I like that skirt, which is actually a dress! :) Super cute! And nice photography. I hope you can come visit my blog now too- let me know if you want to follow each other on FB and GFC. :) I look forward to your visit! such a cool casual outfit! I love the top specially. congrats on the end of sem! enjoy your break! 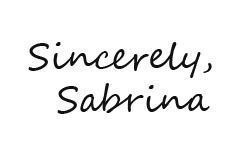 Hey Sabrina first of all thank you for your lovely comment on my blog! I love your grey asemble! Looking casual chic! I love this outfit! I would be wearing something very similar if it weren't so cold right now in Vancouver! I love the skirt, that awesome embellished top and those booties! Looking forward to seeing more of your lovely posts! Great post! Love your look! Just found your blog and really like it! Would you like to follow each other on GFC, facebook and bloglovin to stay in touch? Let me know, thanks! The outfit is amazing!!! I love your style!!! thnx for your sweat comment on my blog!!! I love the fringed detail on the shoulder of this sweater! I would love to to now more about you .Btw my name's anna . Trendy and comfy outfit Sabrina! Like the fringe detail and the long necklace looks great together! Thanks for visiting dear!! I'm following you on Bloglovin and GFC I'll be so happy if you follow back as well. Lovely effortless outfit, love how u r wearing it and how u carried! WOW, such a beautiful blog, I love your style. Thank you for entering my Christmas giveaway! I am following you with GFC, g+, twitter and fb. If you have instagram and pinterest, let me know. Follow me back? Would be great so we stay in touch! Love this Sabrina ! the grey top is fabulous with the fringe! The whole outfit is chic and causal ! This is a very cool sweater ! i like this edgy look, especially the shoulder details on your sweater! That top is gorgeous! I love the shoulders.